In celebration of Halloween, I’m happy to present a bonus pic that is dear to my heart- my favorite burlesque photo of all time. I know absolutely nothing about this very special lady, but photographer Chris Blakely’s archives and a little poking around reveal this was taken at the Academy of Burlesque’s Sophomore Strip at the Jewel Box, circa March 2008. Her name? 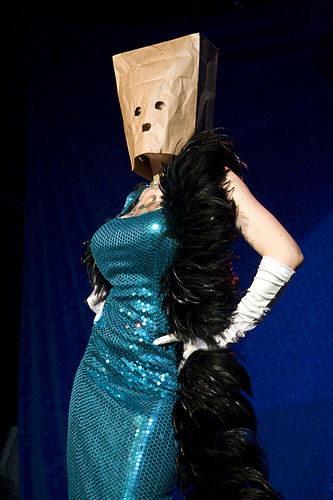 VeraLu, performing as The Unknown Burlesquer. In other, more touchy-feely news: The 2nd Annual Cabaret Festival kicks off this weekend at various Seattle venues. 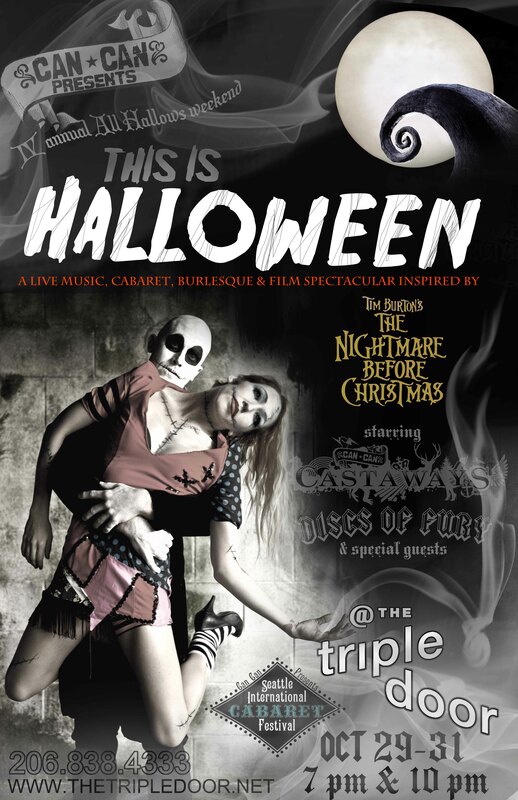 This Is Halloween is a burlesque & cabaret take on Tim Burtons’s Nightmare Before Christmas which will run through Halloween night. The performance stars some Can Can Castaways- in disguise. Even The Castaways turn it out for Halloween. ~ by angrytruffle on 10/27/2010.